GLAVÉ & HOLMES ARCHITECTURE (G&HA) provided the design of a Bell Tower, which is located adjacent to McMurran and Forbes Halls. Additional G&HA work includes the development of a conceptual site plan for the west end of the Great Lawn, including the Bell Tower site, Francesco statue site, and surrounding walkways. The Bell Tower is 20 feet square in plan and 64 feet high. It is constructed primarily of brick and architectural precast with a metal cupola. 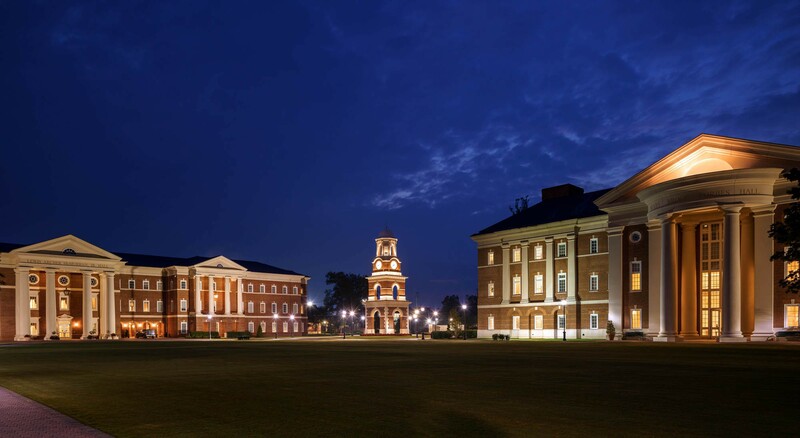 The completion of the Bell Tower clears the way for Christopher Newport to build rich traditions around seminal campus events like commencement, as well as spirit occasions such as athletic victories. The tower stands between McMurran Hall, the College of Communications building, and Forbes Hall, which houses the G&HA-designed state-of-the-art science center. The tower features the bell from the SS United States, includes a clock on each of its four sides, and a carillon that can chime the hour and play other musical interludes. 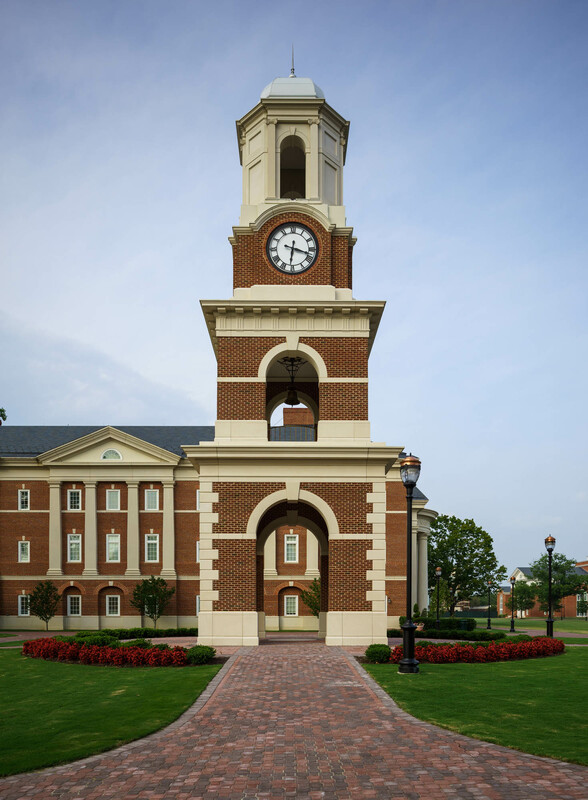 The Bell Tower plaza incorporates an exedra, which will provide faculty and students an outdoor venue for classes and also serve as a place to honor faculty and staff who have served CNU through the years.